Here is a photo of some of my aunts and uncles when they were children. 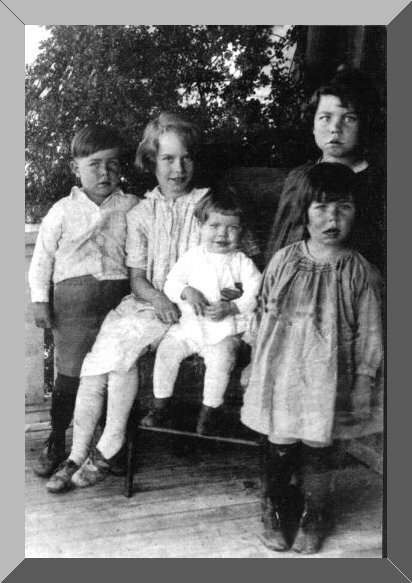 From left to right are: Jack, Doris, Lota Ann, Theda and Norma (in front of Theda). This photograph was donated by Charlene Conley. If anyone else has any great photos like this one, please get in touch with me.